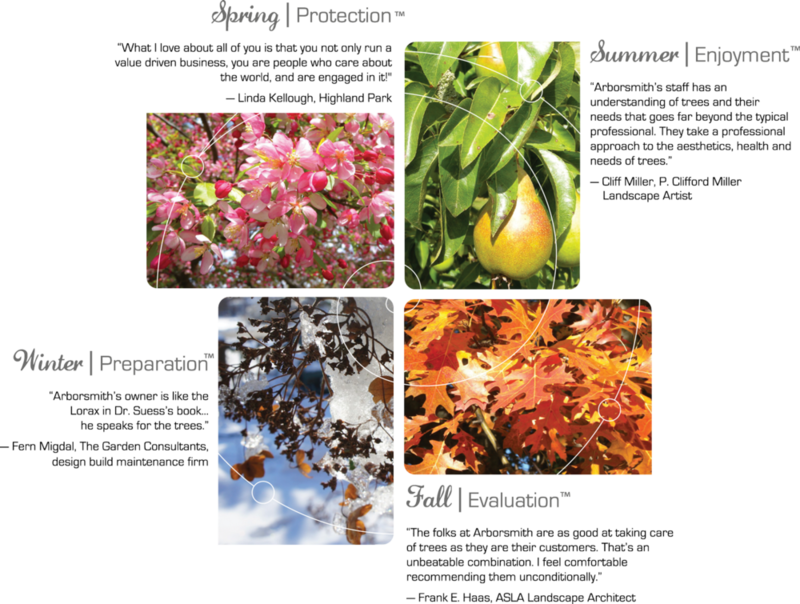 We have developed a trademarked system called the Arborsmith Advantage™ to insure your trees are inspected and optimal solutions for their health are simplified and carefully laid out for easy understanding and implementation. We are always in training and continuing education classes, and doing research to insure up to date understanding of the threats to our tree patients. "Working with "the other guys" vs. Arborsmith is the haircut equivalent to Fastcuts verses a private session with Vidal Sassoon."